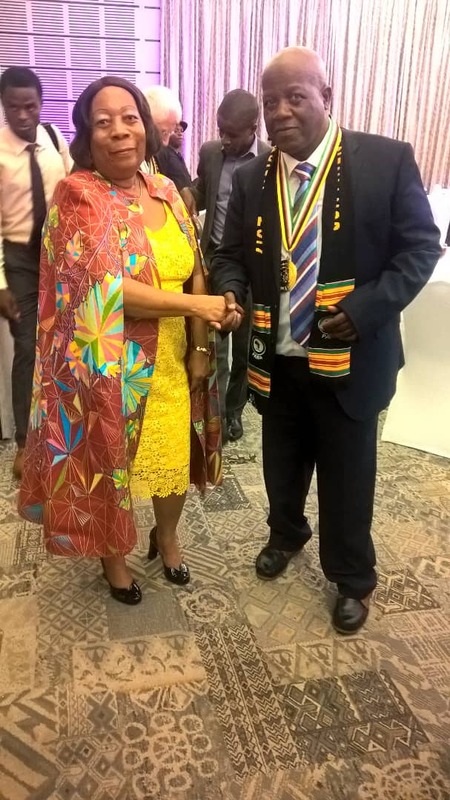 OUR very own David Mungoshi is among the fourteen prominent writers of Africa presented with The Grand Patron of the Arts Award by The Pan African Writers Association (PAWA) in Accra, Ghana recently. The award-giving ceremony was held on the occasion of the 24th International Day of the African Writer customarily celebrated on the 7th of November each year. This year was also the 28th Anniversary of PAWA, the continental body for the writers’ organisations of Africa. The event was graced by a wide range of dignitaries including Zimbabwe’s Ambassador to The Republic of Ghana, Mrs. Pavelyn Tendai Musaka. 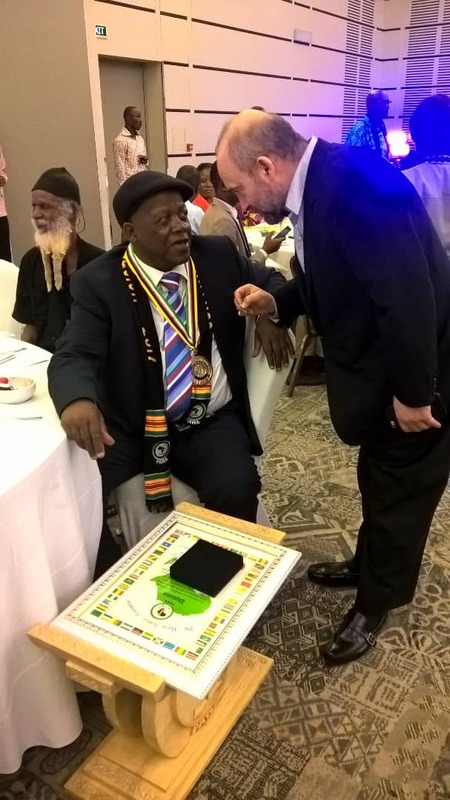 David Mungoshi, a literary critic, poet, editor, short story writer, novelist and academic, was among the eight dignitaries lavishly honoured at the Labadi Beach Hotel on the shores of the Atlantic Ocean on the evening of Tuesday the 7th of November. 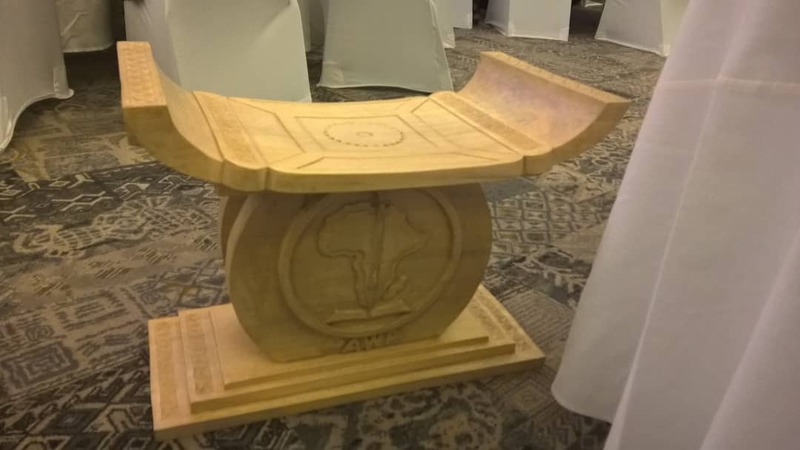 The PAWA Grand Patron of the Arts Award comprises a Diploma, a gold medal with the PAWA emblem emblazoned on it and the PAWA Stool of Royalty also with the PAWA emblem carved into it. President of Libya, Dr. Goodluck Jonathan, former President of The Federal Republic of Nigeria and President Daiseku Ikeda of Soka Gakkai University among others. 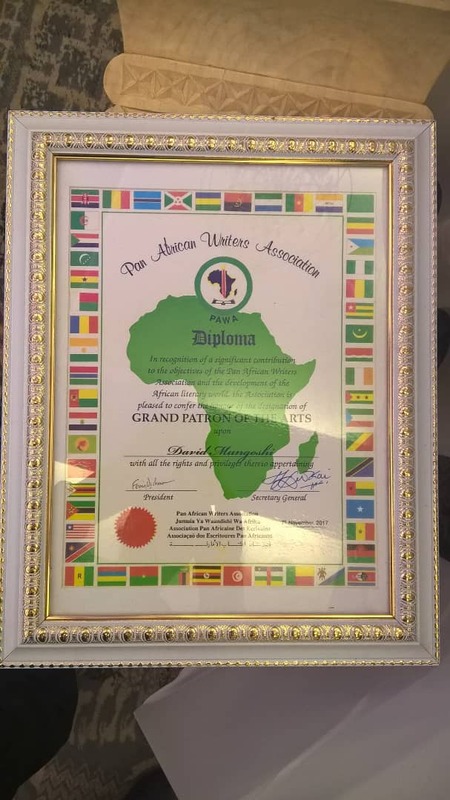 Prominent writers among the past recipients of PAWA Honorary Membership include America’s late Dr. Maya Angelou, South Africa’s late Nobel Prize winner Madam Nadine Gordimer and Nigeria’s Nobel laureate Wole Soyinka. Mungoshi, a former University of Zimbabwe Applied Linguistics and Communication Skills lecturer, has numerous writings across the genres and these include his collection of short stories, ‘Broken Dream and Other Stories, the novel ‘Stains on the Wall’, and the award-winning novel, ‘The Fading Sun’. David Mungoshi recently launched ‘Live Like An Artist’, a collection of one hundred poems that is currently making waves due to its quality, freshness and appeal. Mungoshi has mentored quite a number of upcoming writers over the years and assisted in the publishing of books by primary school children and school leavers. He is currently domiciled in Gweru where he lives with his wife and family. He is also an editor, and somehow, finds time to do weekly newspaper columns. Mungoshi says the PAWA award is making him write with greater impetus. « Zimbabweans and Triviality: Have we sank so low?